At the foot of the Oukaimden ski station, the Ourika Valley rises up to the first hills of the High Atlas, where there are many small villages typical of the place. If it’s Monday, then we will stop to visit one of the amazing markets where the berber people living in the villages meet every week. The valey of Ourika is the best day trip and it is a pure and splendid place where silence is interrupted only by birds singing. During the drive we will stop to visit a cooperative run by women. Also, we will have a chance to get inside a house to visit a Berber family and discover the lifestyle of the Berber people, before reaching the last village in the valley. 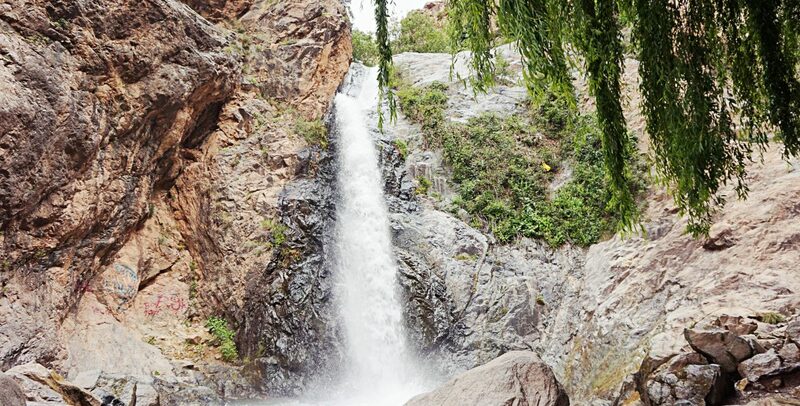 There, we will meet our local guide who will take you in a walking tour to hike to Atlas Mountains and explore the villages that we can’t see while driving and to visit the 7 waterfalls and the source of Ourika River. After that, we will enjoy a lunch by the river or in a panoramic terrace, before driving back to Marrakech about 5pm.